Ambarish has done MBA at XLRI, Jamshedpur (Marketing and Finance) and Bachelors degree in Commerce, with Honours from Calcutta University (St. Xavier college). Ambarish has worked for various MNCs / reputed organization in progressive roles, which include stints in ABC Consultants, EXIM Bank (Bombay office), Standard Chartered Bank, HSBC, Bank of America etc. Ambarish worked in the areas of information technology, customer service, consumer banking and in corporate banking. Ambarish joined Naukri after meeting Sanjeev Bikhchandani through common friends, where he quickly moved to a full-time role as CFO, which was expanded to include Administration, Legal and for a while, HR. Ambarish has been a Board member since inception. The company went through several stages of evolution, from a loss-making start-up, break-even, scalability, profitability and finally an IPO, in 2006. Info Edge has invested in 9 businesses, 8 which were start-ups and 1 which was a mid-stage business. Ambarish has worked on evaluating deals, discussing them at the Board level and then structuring the deals. He has worked with these companies in a subsequent mentoring/monitoring and counselling role. 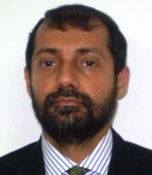 Ambarish has left Info Edge at the end of May 2014 as part of a planned transition. He plans to remain involved with early and mid-stage companies, while selectively working with late-stage companies planning an IPO, on a project basis.